LOS ANGELES (AP) — "Spider-Man" star Tom Holland has tasted pumpkin seeds, but never actual pumpkin. Chris Evans snuck a full 'Avengers: Infinity War' script home. The 36-year-old actor - who plays Captain America in the Marvel franchise - has revealed he took home one of the scripts for the hotly-anticipated movie, despite the high level of security attached to them to avoid spoilers being leaked to fans. Benedict Cumberbatch is one of few 'Avengers: Infinity War' stars who's been trusted with the film's entire script. The 41-year-old actor plays Doctor Strange in the much-anticipated Marvel movie, and Benedict has revealed that unlike his co-star Tom Holland, he's been trusted to keep details of the film a secret. J.K Simmons would "never say never" to returning to the Spider-Man world. The 62-year-old actor starred as Daily Bugle newspaper editor J. Jonah Jameson in all three of Sam Raimi 'Spider-Man' movies, and he has returned to the comic book genre playing Police Commissioner James Gordon in the DC Extended Universe film 'Justice League'. Marvel Comics' legendary web-slinger returned for his third cinematic reboot in a movie that charmed both critics and audiences over the summer. Now available in ultra high-definition format, Spider-Man: Homecoming (Sony Pictures Entertainment, rated PG-13, 133 minutes, 2.39:1 aspect ratio, $45.99) delivers a colorful and eye-popping homage to the hero and offers fans a chance to celebrate his immersion into Marvel's Cinematic Universe. 'Spider-Man' spin-off 'Silver & Black' will be released on February 8, 2019. Sony has announced the release date for the upcoming Gina Prince-Bythewood directed movie, which will hit cinemas four months after the previously announced October 2018 release of 'Venom', starring Tom Hardy. And fans could be in for a treat as it was previously revealed that Spider-Man could feature in the same universe as 'Venom', 'Silver & Black', and the other Spider-Man movies being made by Sony. Zendaya was willing to "wait for the right thing" before accepting a role in 'Spider-Man: Homecoming'. The 20-year-old actress stars alongside Tom Holland in the superhero movie - but admitted she previously rejected a number of job offers prior to taking the part of Michelle 'MJ' Jones in the Jon Watts-directed film. Zendaya explained: "There were a lot of opportunities that weren't really what I wanted to do. Zendaya has insisted she is not dating Tom Holland. 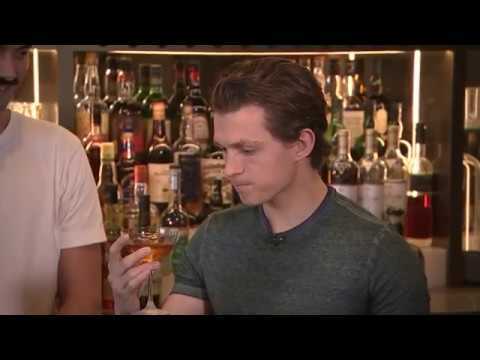 The 20-year-old actress was rumoured to be dating her 'Spider-Man: Homecoming' co-star after sources claimed the pair grew close on the set of the Marvel movie, but Zendaya has now put an end to speculation of a romance with Tom as she insists they're just "friends". Chris Pratt has backed Tom Holland's dream of winning an Oscar. 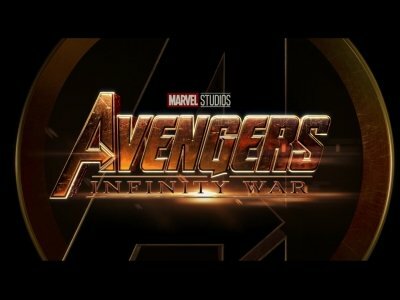 The 38-year-old actor - who stars as Star-Lord Peter Quill in the 'Guardians of the Galaxy' films - is currently shooting the upcoming Marvel Cinematic Universe epic 'Avengers: Infinity War' and admits it has been "great" working with young Brit Holland, who is reprising his role as Spider-Man. And Pratt thinks Holland, 21, can fulfill his ambition of becoming an Academy Award winner by the time he is 31. 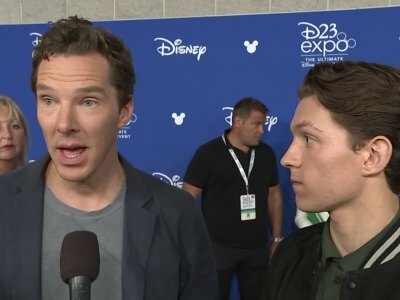 Benedict Cumberbatch once ignored Tom Holland because he thought he was a fan. 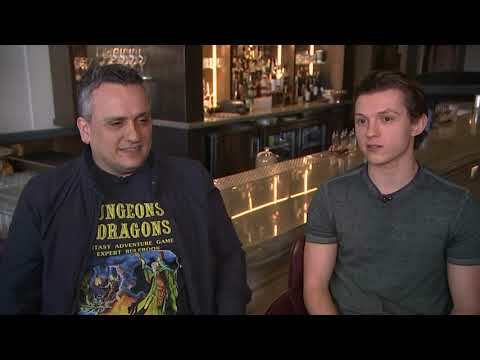 The 'Doctor Strange' star has confessed to blanking the 'Spider-Man: Homecoming' actor after mistaking him for one of his loyal supporters. Tom Holland and Zendaya are dating. The 'Spider-Man: Homecoming' co-stars reportedly fell for one another while making the movie, and though they have been trying to keep their romance out of the spotlight, insiders claim they have been spending a lot of time together. A source told People magazine: "They started seeing each other while they were filming 'Spider-Man'. What’s playing in Aiken for the weekend of July 14? Caesar and his apes battle a human army led by a brutal colonel in this third film in the latest series inspired by Pierre Boulle’s 1963 novel. With Andy Serkis, Woody Harrelson, Steve Zahn, Amiah Miller, Terry Notary, Karin Konoval. Written by Mark Bomback, Matt Reeves. Directed by Reeves. (2:20) PG-13. NEW YORK (AP) — Moviegoers, tested with the third iteration of Spider-Man in 15 years, still aren't tired of the web slinger. Sony's "Spider-Man: Homecoming" debuted with $117 million over the weekend in North America, according to final box-office figures Monday. NEW YORK (AP) — "Spider-Man: Homecoming" swung past expectations, opening with an estimated $117 million in North America and giving a Sony Pictures a much needed hit. "Homecoming" was one of the biggest tests yet for the notion that domestic moviegoers are growing weary of sequels and reboots and suffering so-called "franchise fatigue." ''Homecoming" kicks off the third "Spider-Man" iteration in the last 15 years, and the second reboot since 2014's "The Amazing Spider-Man," with Andrew Garfield. Tom Holland would love to see a movie featuring Spider-Man and Hulk. The 21-year-old actor plays the web-slinger in 'Spider-Man: Homecoming' and has expressed his desire to have Marvel's favourite green giant team up Peter Parker's alter-ego for a spin-off because he'd love to see them have a face-off, with Hulk squashing Spidey like a bug. It looks like it’s time to reboot the “Spider-Man” movie franchise — this time after just one movie. “Spider-Man: Homecoming” is Marvel Studios’ first attempt at integrating the hero into its “Cinematic Universe,” and Spidey swings and misses. This is a Marvel movie that feels like a Disney Channel comedy for 9-year-olds, with only a laugh-track missing. “Spider-Man: Homecoming” has critics and fans alike cheering title star Tom Holland for doing — and doing quite well — just about anything a re-rebooted Spider-Man can. But how does this latest spin on the web-slinger compare to previous live-action incarnations of Peter Parker and his amazing alter-ego? Here’s a roundup of those men behind the webbed mask on television and film. Tom Holland was bullied for being passionate about dancing at school. The 'Spider-Man: Homecoming' star has opened up about being picked on when he was young for his love of ballet, but says it wasn't enough to stop him from performing. He said: "I had my rough patches. There was times when I was bullied about dancing and stuff. But you couldn't hit me hard enough to stop me from doing it." Tom Holland thinks "no-one is ready" for 'Avengers: Infinity War'. The 21-year-old actor will reprise his role as Peter Parker and his web-slinging alter ego Spider-Man in the upcoming Marvel Comics Universe movie, and has said the project will be the "biggest movie of all time" that not even the most devoted Marvel fans will be prepared for. Specifically, the 21-year-old Brit who plays Peter Parker/Spider-Man discovered, “You can’t really master hanging upside down. That’s not something I’ve been prepared for. “But my dancing and gymnastics background was so helpful because we were able to do things as Peter Parker that they probably hadn’t been able to do in the past. One thing is certain: Culture has not been lacking in takes on Spider-Man for the past 15 years. First there was Tobey Maguire, who under the direction of Sam Raimi for three films ushered in the modern superhero era, and then there was Andrew Garfield whose two films with Marc Webb were immediately forgettable. And now, like all obedient franchises, they're trying to start all over again, this time with the much more age-appropriate Tom Holland in "Spider-Man: Homecoming ." N EW YORK — Is Robert Downey Jr., who returns as Tony Stark/Iron Man in “Spider-Man: Homecoming,” the godfather of the Marvel Comics Universe? It’s now nine years since Downey starred in the first “Iron Man” movie, a monster hit that ushered in Marvel’s era as a global box-office behemoth and solidified Downey’s comeback as a superstar. Last year’s “Captain America: Civil War” had Stark introduce Tom Holland’s new Spider-Man. 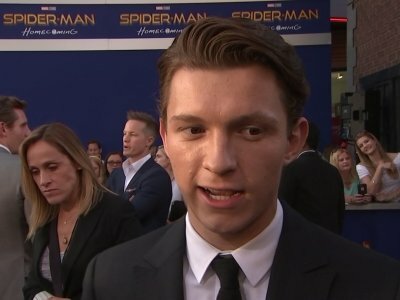 Tom Holland wants to stay in London "for as long as he can". The 'Spider-Man: Homecoming' star is keen to stay in the British capital for as long as possible but he does love the Los Angeles sunshine. He said: "I'm a London boy, born and bred, and I'll be there for as long as I can. But that said, I do love Los Angeles, I love the sunshine and one day I'm sure I'll be here." And Tom gushed about the "whirlwind" reaction to him playing the iconic superhero. 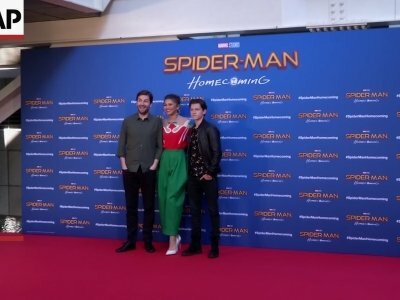 Tom Holland stole Zendaya's leather jacket. The 21-year-old actor stars as Peter Parker and his titular web-slinging alter ego alongside Zendaya's Michelle in the upcoming Marvel movie 'Spider-Man: Homecoming', and the brunette beauty has said that because the pair are "the same size", Tom has pinched the "really nice" jacket from her collection. Jon Watts is likely to return to direct 'Spider-Man: Homecoming 2'. The 35-year-old filmmaker impressed studio bosses with the "wonderful" job he's done on the new movie - which stars Tom Holland as the web-slinging superhero - and executives admit they would be "crazy" if they didn't bring him back for the first of their planned sequels. Sony's producer Amy Pascal told Collider: "Watts knocked it out of the park. Spider-Man to feature in new spin-off movies? Spider-Man could feature in the same universe as Venom, Silver & Black, and the other Spider-Man movies being made by Sony. Amy Pascal has revealed the studio's plans for the iconic superhero, seemingly confirming that Spider-Man - who is played by English actor Tom Holland - will feature in a number of spin-off movies. Speaking to FilmStars, Amy explained: "Those movies will all take place in the world that we are now creating for Peter Parker. Tom Holland has confirmed a 'Spider-Man' trilogy is in the works. The 21-year-old actor has revealed 'Spider-Man: Homecoming' will be followed by two further standalone movies that will allow Marvel to develop the story of the iconic superhero. Tom explained: "Yes, there is what we call the arc of the character. There is still a lot of room for Peter Parker and Spider-Man, especially, to grow in the next two movies.